Macao (or Macau) is a self-governing territory on the south coast of China, located on the Pearl River Delta opposite and about 40 miles from Hong Kong. With some 636,000 people living in less than 12 square miles, it has the highest population density of any place in the world. The economy runs on manufacturing and tourism, the latter abetted by the flourishing gambling industry for which Macao is famous. There is not a whole lot of room for golf courses here, but they have somehow managed to squeeze two in, and both are top-notch. The Caesars Golf Macau in Cotai includes the Butch Harmon School of golf, making it the only location outside of Last Vegas where players have access to the inside scoop about the special tricks that help such phenomenal players as Phil Mickelson and Tiger Woods earn victory after victory in the most prestigious international competitions. 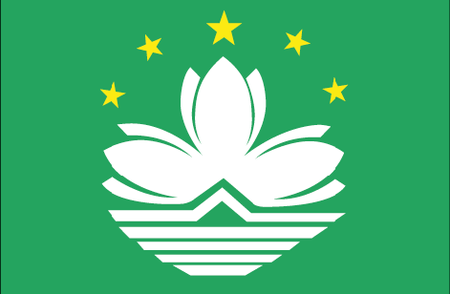 The Macau Golf and Country Club, which is actually situated on an island called Coloane, is home to a yearly tournament on the Asian Tour, the Macau Open, in which such PGA giants as Darren Clarke, Fred Couples, John Daly, Nicky Faldo and Colin Montgomerie have all participated at one time or another.